It was not so steeper road like Pankhabari or Peshoke-Teesta road but I think it is the most scenic road except long Ghoom-Mirik road in Darjeeling District and The most suitable route is through Rohini. The Swift will easily climb the slopes upto Kurseong from where it is along the Hill cart road to Darjeeling. Rohini Road is a new addition to the network of roads that connects the hills with plains. To take this road, one has to go to Matigara on NH 31 first and then to Khparil. From Khaprail, the road bifurcates into two important thoroughfares – one goes towards Pankhabari and the other towards Rohini. 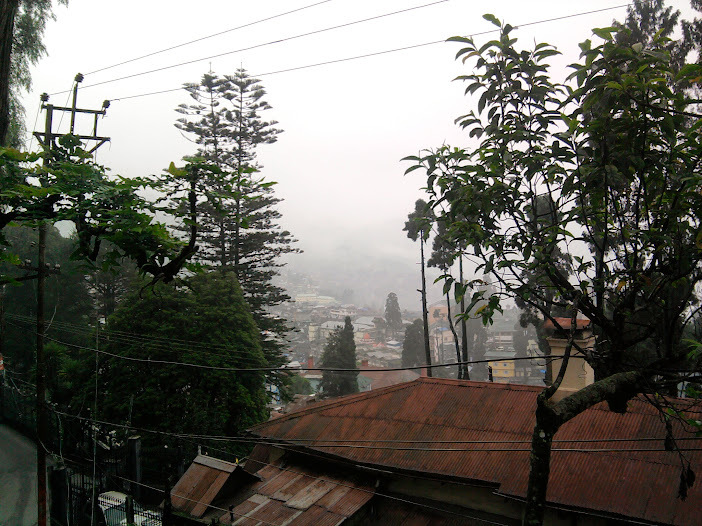 We had stopped middle of route before Kurseong for Breakfast and enjoyed the valley view from there. We had spent at least 30 minutes there, had tea from local shop and then forwarded to our destination. Upto Ghoom it was foggy weather but still no rain was there to create an obstacle for viewing nature. After the Batasia loop, rain had started and not stooped until we had reached in our Hotel Sambala's doorstep. As quick as possible, after check in and having late lunch, me and my wife went to the Mall and find most of the visitors with umbrella were enjoyed the life of mall area. 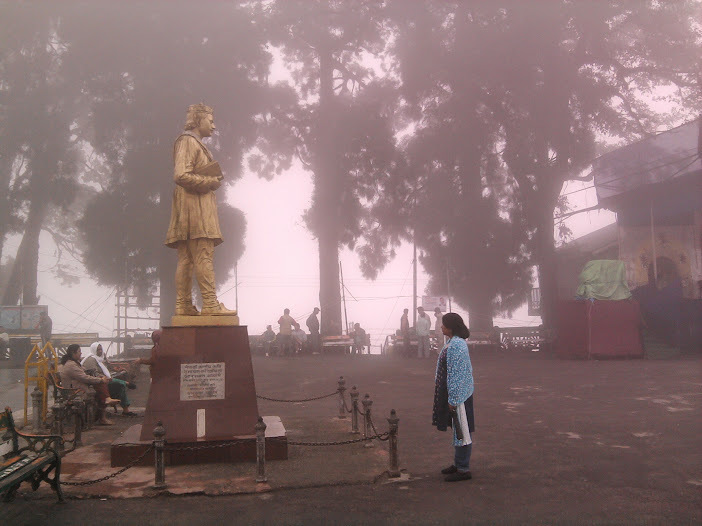 It was the day which was fixed for Sightseeing in Darjeeling. At 5:30 pm I woke up and noticed that there was no rain. 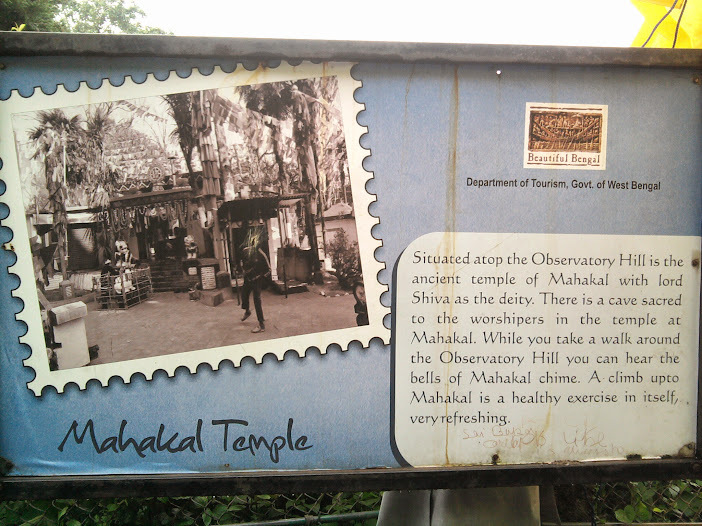 As we have to start our sightseeing trip from 8 am, me and my wife moved for the Observatory Hill & Mahakal Temple. It was not our sightseeing list, but we were serious to view the place. There was very few passers on the load, most of them are the local peoples. Just after 4-5 minutes walking we had reached just below the famous church. From there we took a right bend and another 3-4 minutes walking we had reached in the foggy mall area. The Observatory Hill is located at the Mall area and is encircled at its bottom by the Mall Road. 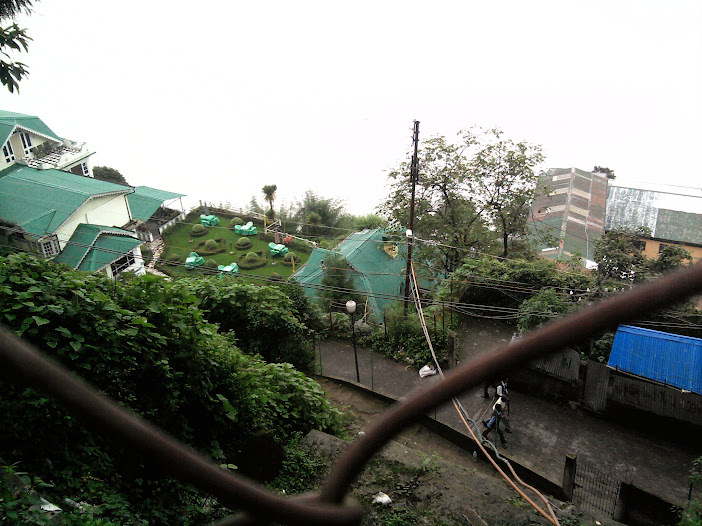 We had started from the right side of Chowrasta Mall, and about 120 yards away found the flights of stairs that lead towards the Observatory Hill and the Mahakal Temple. There is a large signboard indicating the pathway. 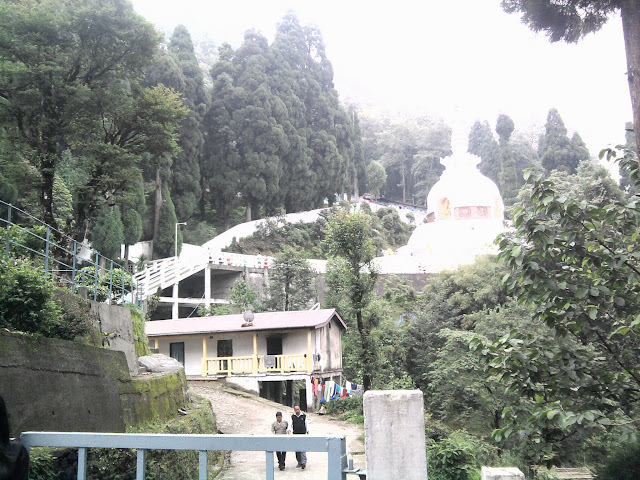 On the last bend to the top, we saw a priest sitting at a small temple of Siddhi Sai Baba on the roadside. There are hundreds of Buddhist prayer flags fluttering all over and hanging from the trees, as Buddhists believe the prayers reach the heavens through the flags. With changing seasons, the color of the flags and the prayers fade, which signify that with passing time, the sins will also be washed away. There are many other small shrines and temples here. 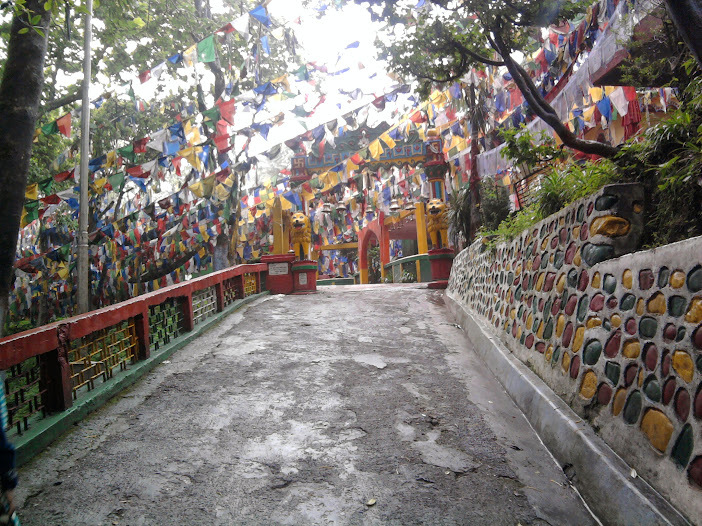 When we entered the complex through the arch gate, found a temple of goddess Kali on right. It was exact 9 am and all of us started our journey for full day sightseeing. 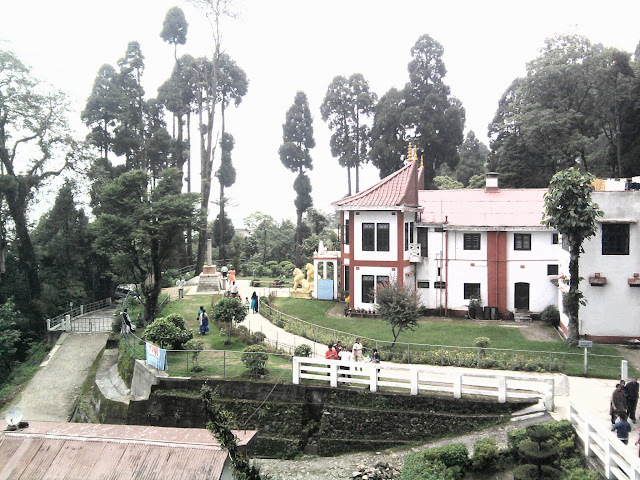 We started our trip with the famous Japanese temple located at a 15 minutes driving distance from the Darjeeling town center. The temple is also known as the Nipponzan Myohoji Buddhist Temple. The two storied white building was built in a traditional Japanese style in the year 1972. Our car couldn’t enter through the main gate of the temple premises and parked right below the temple. It was just 5 minutes walking distance from the main gate along a narrow uphill road. 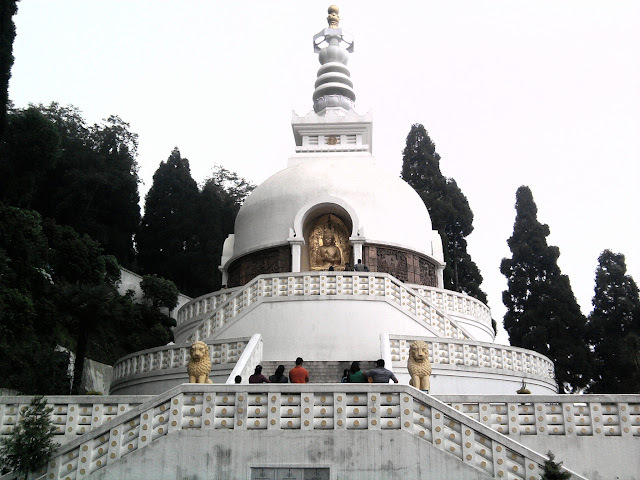 Close to the temple is the Peace Pagoda that showcases four avatars of Lord Buddha. We noticed beautiful artwork etched on sand stones that look like wooden framework depicting the life of Buddha and his relics. From top of the pagoda one get wonderful views of the Japanese Temple at a distance and rows of pine trees behind. On a clear day, the snow peaks are clearly visible from here. 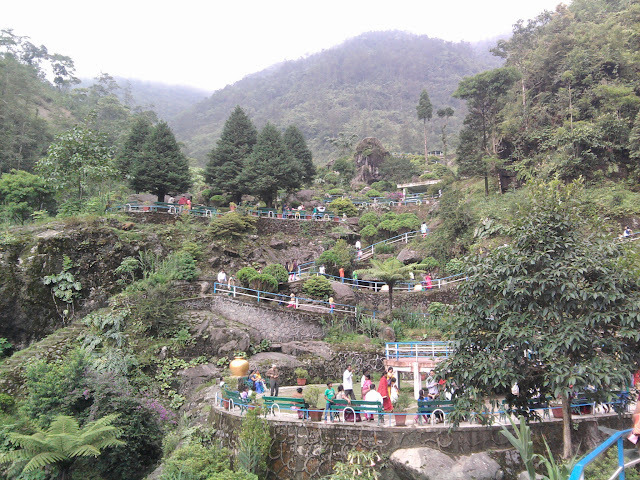 The Barbotey Rock Garden which is located at least 12km away from Darjeeling town in a valley down below was our next destination. Ganga Maya is another park area located further down but it was closed in my time. 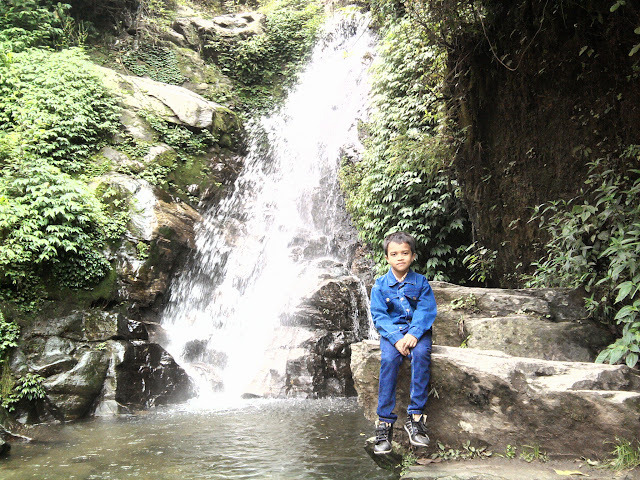 I was lastly visited there in the year 2002, but in this time I was there for my two little child. 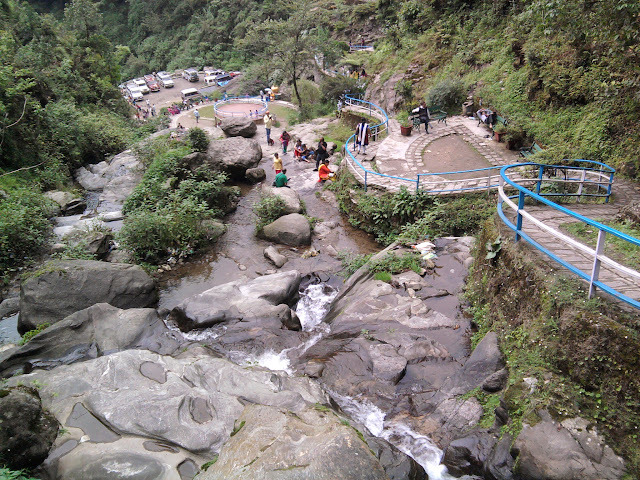 After right turn from the main Hill Cart Road of Darjeeling towards the Rock Garden, we were in for a nature's treat for the next 30 minutes narrow winding downhill journey. There are sharp hairpin bends on the way and the gradient of the road is very steep. One of the great scenes we noticed on the way is the clouds movement. It's just simply spectacular. Just outside the ticket counter of Rock Garden, there were many stalls being set up by the locals selling snack and small souvenir items for the tourists. The entire garden area has been created by cutting rocks at different levels and making terraced seating arrangements at various levels. 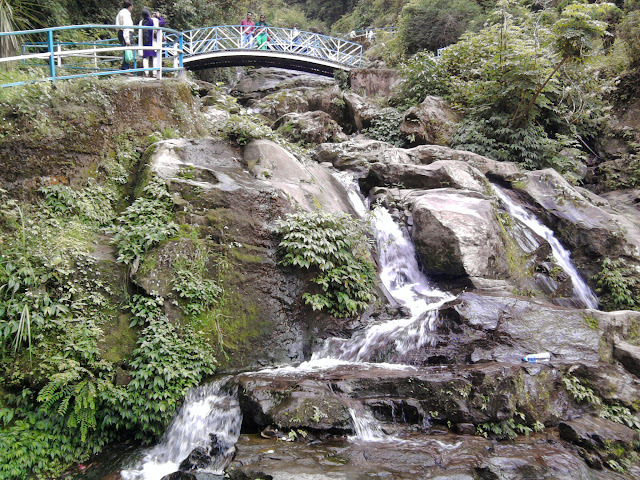 There is a wonderful waterfall that comes all the way from the top and over the rocks to down below. 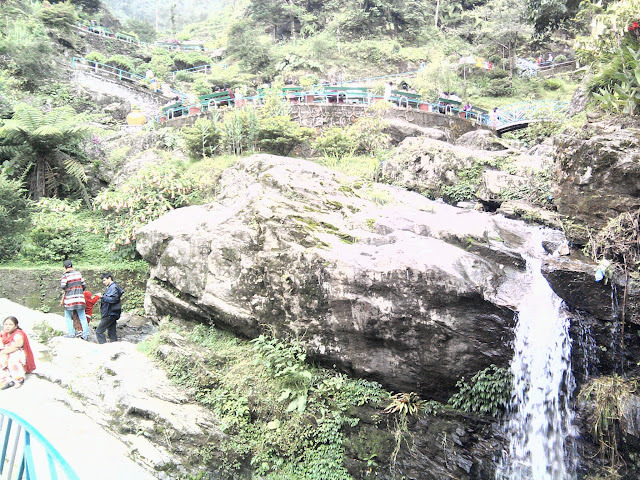 Climbing stairs to go up and crossing small bridges across the rocks to reach up to the top was our prime target. The beautiful flower gardens, trees and shrubbery at all levels along with nice seating arrangements for rest and relax was the companion with us for our up level journey. We had also visited the Snake Cave at the top of the Rock garden which was normally ignored by most of the visitors. When you really want something to happen, the whole universe will convene so that your wish comes true"
After completing the lunch our main target was to view the Zoo and the Tea estate before dark. 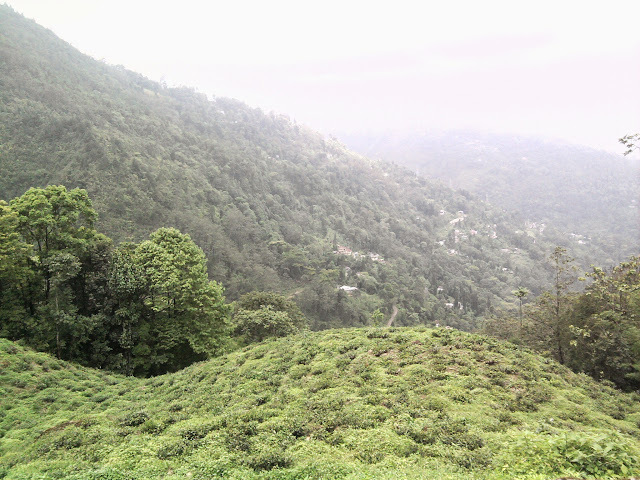 It was 2:30 pm and we had started again towards Happy Valley Tea Estate. On the way we had passed the Tenzing Rock & Gombu Rock.Amateur climbers and tourists enjoyed experience of a climb with the help of guides. There are many temporary stalls put up by the local Nepali vendors on that side selling tea, momos. They set up tables under a large shade. 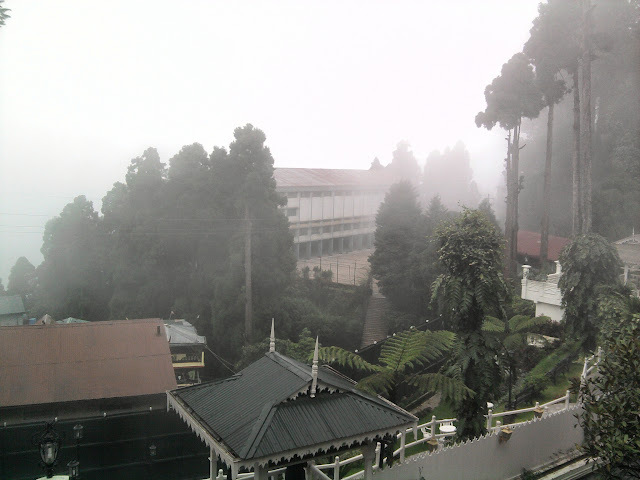 We finally reached beside the tea estate and enjoyed the beauties of it. 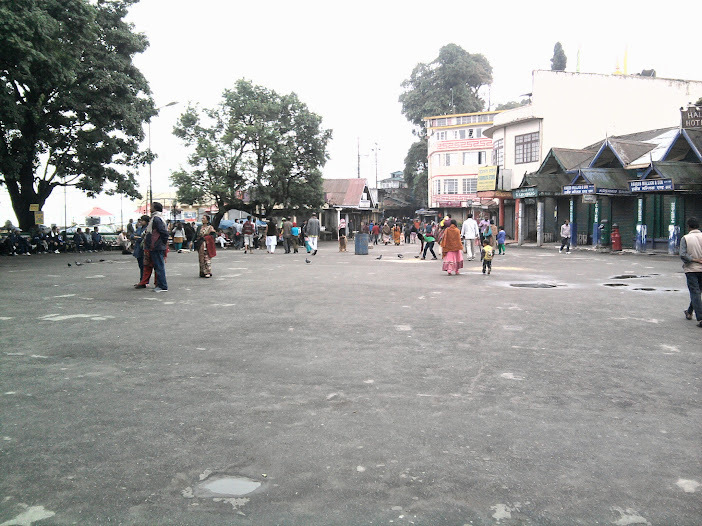 As we had very little time in hand to explore the Zoo, we quickly reached near the main gate of Darjeeling Zoo. Padmaja Naidu Himalayan Zoological Park is the place where you can actually see some of the very high altitude animals and some endangered species that are rarely seen. This zoo was set up in the Jawahar Parvat in 1958 at an altitude of 7,000ft (2133m). It is open upto 5 pm in the summer season there is an admission fee combined with HMI which is located in the same area. The combined ticket is Rs. 40/- and additional charge for cameras is Rs. 10/-. But Photography totally prohibited inside the HMI Museum. After entry through the main gate, there was some curio and souvenir shops on the left. A few steps forward, towards right there is Himalayan Black Bears roaming about. As we climbed up towards the upper part of the zoo, across the netted fence on left in the hills we found Indian Tigers in open space. This is the area where we found Snow Leopards, Black Leopards. From the main gate to our right there is the Red Panda conservation section. We saw the Red Pandas on left over a fence walking around in a natural bushy setting. My child were really enjoyed all of these species and after a quick view in the HMI Museum, we had returned to our hotel at 6:30 pm. 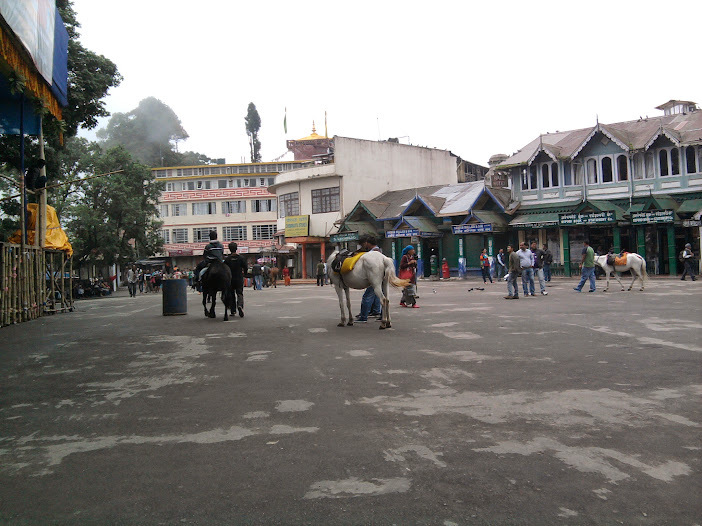 We have to take some rest for the next day trip to Kalimpong, but can't control ourselves to roaming in the Mall area and in the different curio shops. 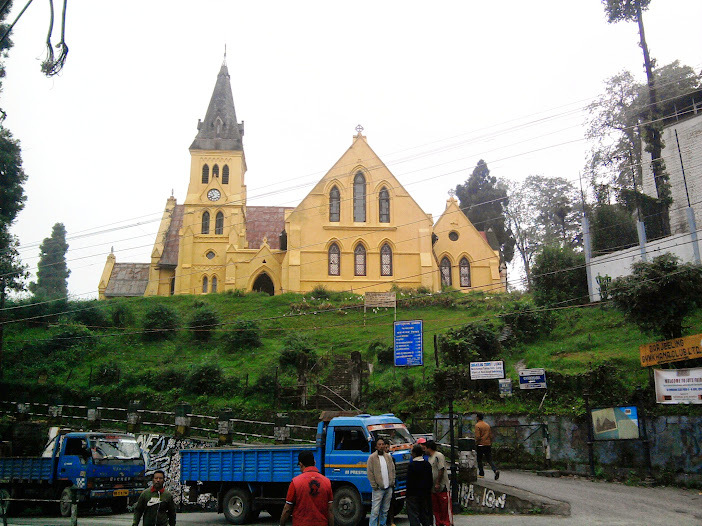 It was the day when we had to covered a long distance through the steeper Peshok road for Kalimpong. Weather was not so clear. without wasting more time we had started our long trip at sharp 8.30 am. On the way we had stopped in famous Batasia loop and the Ghoom Railway station to capture some snaps. 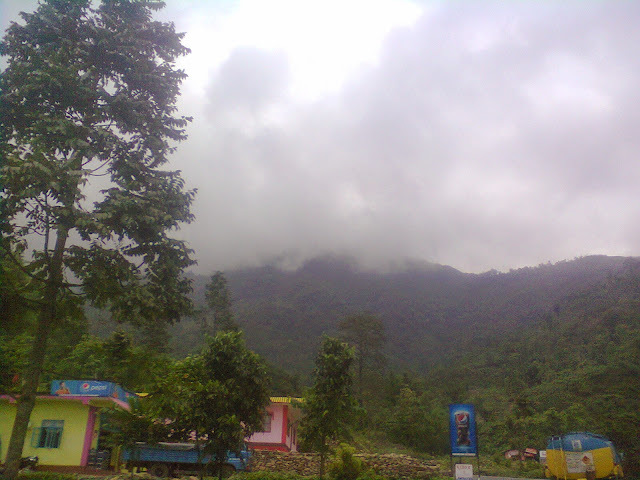 We had faced mild rain for some times in there. But after that the whole journey and return journey was not hampered by the rain God. May be we are lucky on that time. 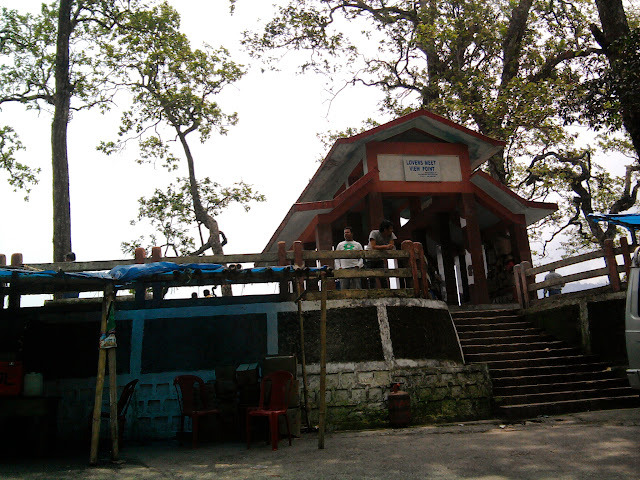 Our first stop was Lovers point in Peshok is nearly 30 kilometers away from Darjeeling on the road to Teesta via the Peshok Tea Estate. 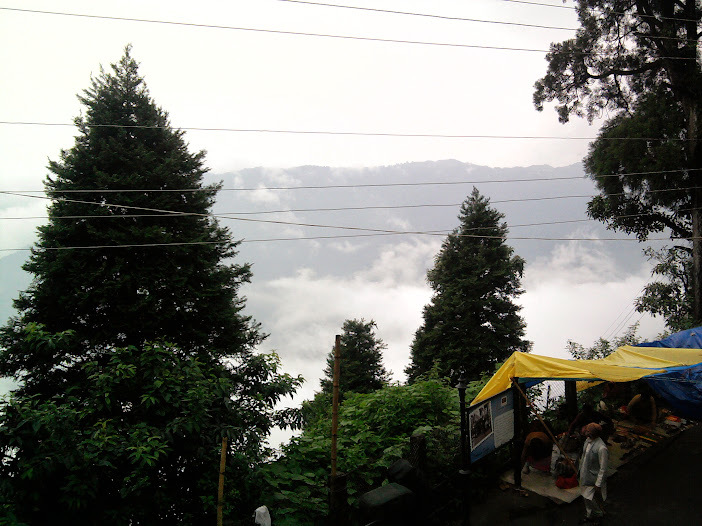 I have taken all picture from the View Point on Peshoke road, while coming from Darjeeling-Ghoom/Jore Bungalow area. 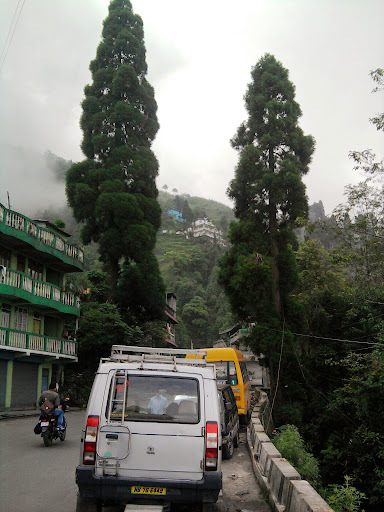 This is the usual route from Darjeeling to Kalimpong. 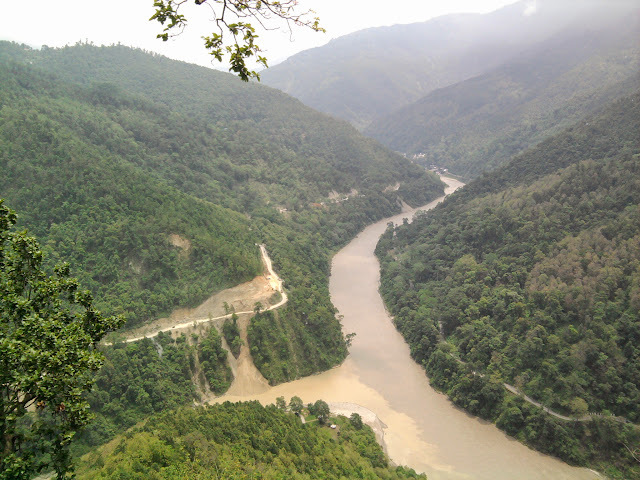 In the picture below, the river coming from left is Rangeet and meeting Teesta which is coming straight down. On left is the hills of Sikkim and on the right is the hills of Kalimpong. Nice Photos & nice Description dcyouth ! :) Following & Waiting for the Kalimpong Part ..